Leung Chi Wo studied culture of photography at Centro di Ricerca e Archiviazione della Fotografia in Italy in 1991 and obtained a Master of Fine Arts from the Chinese University of Hong Kong in 1997. 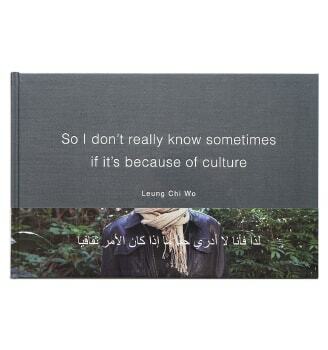 Using photography, texts, found objects, performance and installation, Leung Chi Wo combines historical exploration with conceptual inquiry, to reinforce our doubts about memory, power system and the ambivalence of history. Focusing on the 1967 anti-colonial riots in Hong Kong, Leung continues to research different social, cultural and political incidents that took place in that year. By synthesizing and collecting vintage objects, archival materials and images, Leung juxtaposes quotidian events against parallel moments of political instability. His works have been exhibited at major international museums and institutions including Tate Modern in London, NRW Forum in Dusseldorf, Museu da Imagem e do Som in São Paulo, The International Studio & Curatorial Program (ISCP) and Queens Museum in New York. 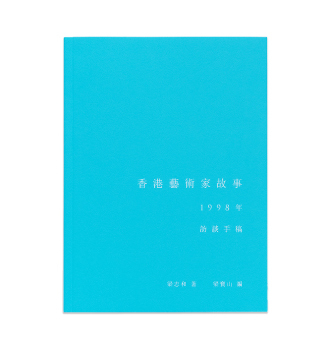 In collaboration with Sara Wong, he represented Hong Kong for its first-time participation in Venice Biennale in 2001. He also participated in other biennials and triennials, such as Shanghai Biennale in China, Bi-City Biennale of Urbanism\Architecture in Shenzhen, China, Marrakech Biennale in Morocco, the Guangzhou Triennial in China, and Asia Triennial Manchester in the United Kingdom. He had his first survey exhibition at OCT Contemporary Art Terminal in Shenzhen, China in 2015. Leung Chi Wo is the co-founder of Para Site. Leung is currently Associate Professor at the School of Creative Media of the City University of Hong Kong. “Something There and Never There” is the solo exhibition of Leung Chi Wo, centred around the tumultuous year of 1967 in Hong Kong. By using diverse media including photography, video, and installations comprising of found images, music and objects from 1967, Leung performs a deep engagement with a subjective history through archival research, conceptual intervention and poetic re-imagination. Hot Wheels is a series of photographic installation, with embroidered fabrics draped between the two- part portraits of the eponymous automobiles. These are vintage toy cars from the original 1967 Hot Wheels series by Mattel, manufactured in Hong Kong. The fabric’s pattern comes from garments commonly worn by working class women in the 1960s in Hong Kong, while embroidered on it is the advertisement of the luxury vehicle, “Humber Imperial”. It was printed next to the newspaper banner in the front page of South China Morning Post on 25 August 1967. In The Date Series (2017), Leung revisits the locations where bomb attacks took place during the 1967 riots. On the same date, at the same location, exactly fifty years later, the artist turns the camera skyward and captures images of the sky with black and white film. 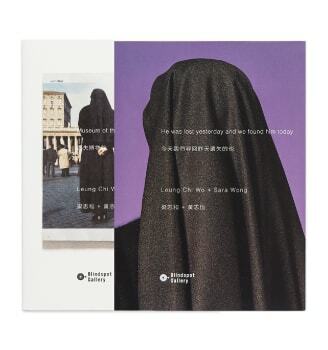 In naming the images, Leung chose civil and personal events that happened on the day of the bombings, bringing to the forefront coexistences of ephemeral yet notable timelines referenced by the very same images. Through polysemy and polyphony, Leung systematises the contemplation and conception of two kinds of parallel worlds: one temporally synchronous but spatially distant, another temporally distinct yet spatially unified. The words “Extremely Recalcitrant” came from a comment by Magistrate Enoch Light, describing the 14 Belilios schoolgirls who were charged for obstructing police officers or trespassing on school property during the 1967 riots in Hong Kong. The girls had been excluded from the court for being “unruly and disrespectful” (as reported in the South China Morning Post, Nov 18, 1967). A Countess from Hong Kong (1967) is the last film directed by Charlie Chaplin. With Hong Kong as its backdrop, this romantic comedy was set during the Vietnam War and the Cultural Revolution in China. Although the film had little box office success, its theme song This Is My Song, written by Chaplin and recorded by Petula Clark, reached No. 1 in the UK charts and became a worldwide hit. Frater is a sculptural installation comprising of a used Japanese-made Brother DB2-B755-3 sewing machine found in a second-hand shop on Tai Yau Street. The artist has manipulated the machine such that its power punching stroke is slowed down to one stroke per minute. Instead of sewing fabric, the machine pierces in very slow motion. A track of holes on a roll of exposed and developed black and white negative film with images of artificial roses. One cycle of this pierced film runs for about 10 hours, the usual length of a workday spent by the artist’s father in the factory. The work is effectively turned into a timepiece. Drawing from the artist’s personal recollection, this model of sewing machine, the most popular during the golden age of the Hong Kong garment industry in the 1960s and 1970s, was the most valuable possession in his family, which allowed his mother to work at home for additional earnings while looking after her children. The artist’s father also sewed with a machine of the same model in a large garment factory in Tai Yau Street in Kowloon, where, situated next to it was an artificial flower factory. It was the site of a major labour dispute that marked the beginning of a series of anti-colonial riots in 1967. Leung Chi Wo captured the variably colourful surface of the Victoria Harbour in different seasons and times of the day, recording the temporal and mnemonic impressions unperceivable by the naked eye. After his eponymous solo exhibition “Press the Button… Leung Chi Wo: A Survey Exhibition” at OCAT Shenzhen in 2015, Leung created 54 hand drawings along with textual description for each of the works showcased at the exhibition. An art book titled Press the Button was published after. 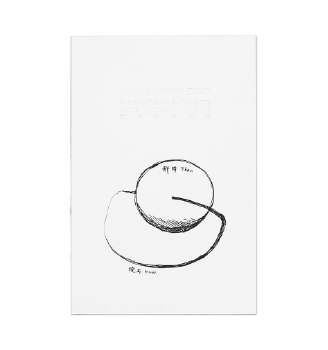 With limited edition of 50, each individually numbered box set includes an 88-page paperback and 54 loose hand drawings, with texts by Leung Chi Wo, curator of the exhibition Carol Yinghua Lu, art critic Anthony Leung Po Shan and curator Qu Chang. Before Sunrise, is a set of 6 photographs that documents the artist’s response to Yoko Ono’s performance Morning Peace. Commissioned by MOMA and organised by M+ Museum, Morning Peace is 24-hour durational piece across 8 different cities globally to “celebrate the mornings of past, future, and now”. Set to the accompaniment of Im Abendrot (At Sunset), one of the Four Last Songs Richard Strauss wrote before his death, Leung Chi Wo and attending audience in Hong Kong witnessed together the twilight of sunrise. An imaginative investigation through staged photography, He was lost yesterday and we found him today is a series of 28 self portraits in which Leung Chi Wo collaborated with Sara Wong. The series re-enact anonymous figures picked out from images in archival materials such as old magazines, newspaper, pamphlets, souvenir books and other documents that they have been collecting over the years. Leung Chi Wo and Sara Wong’s collaboration started in 1992. Their previous work City Cookie was exhibited in Shanghai Biennale, Venice Biennale, as well as Queens Museum in the USA and Museum of Image and Sound in Brazil.